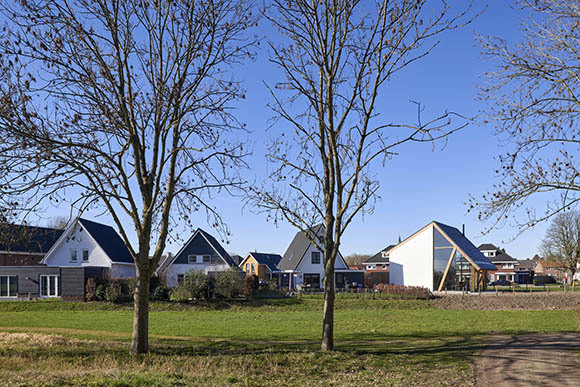 On the verge of the Dutch village Werkhoven, a new residential area has been realised with building-plots. 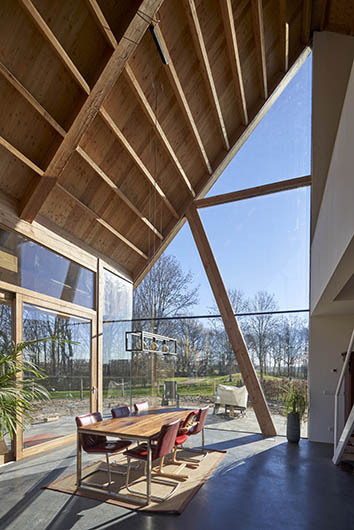 At this location our clients bought a plot on an angling. 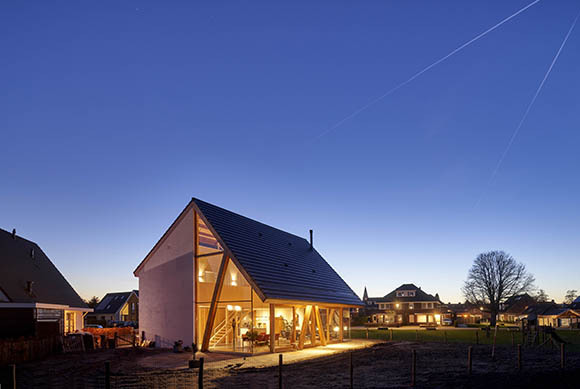 Other plots are rectangularly shaped. 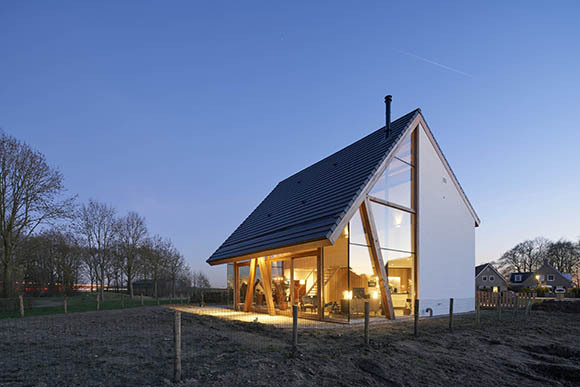 However, because of its particular situation, this plot has a triangular shape. 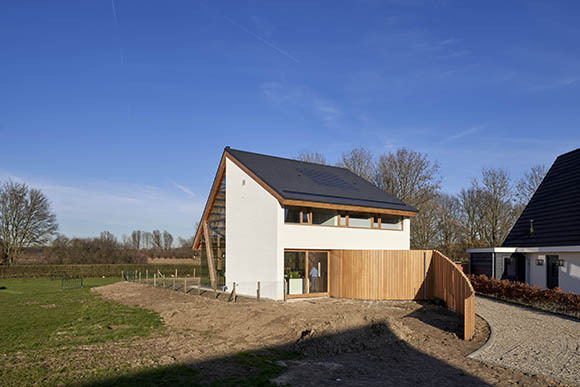 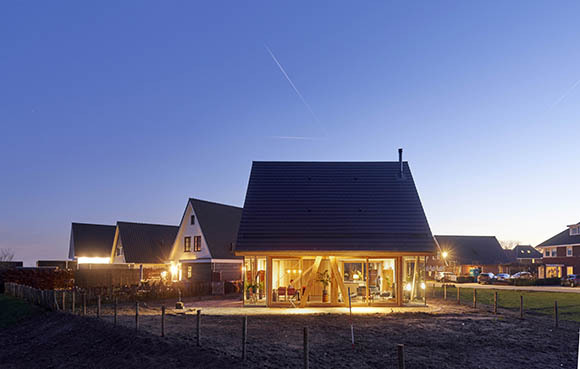 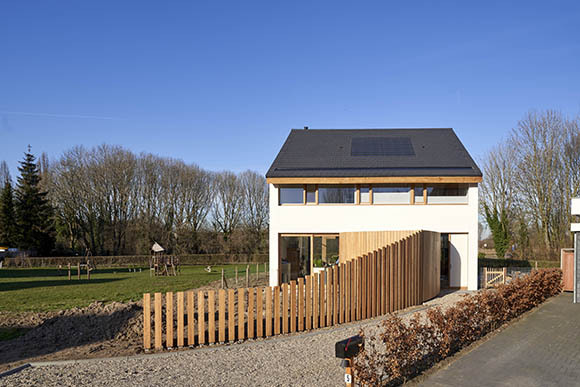 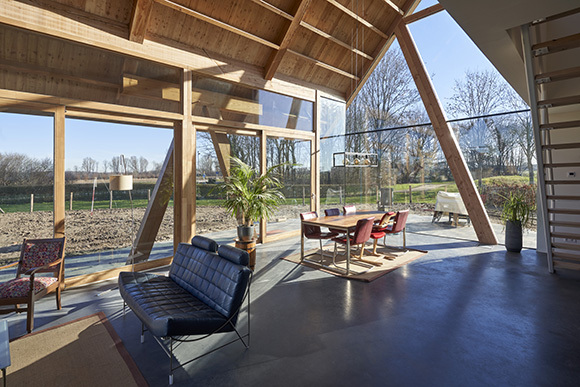 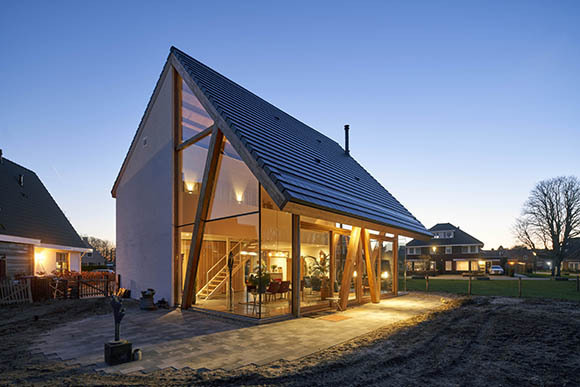 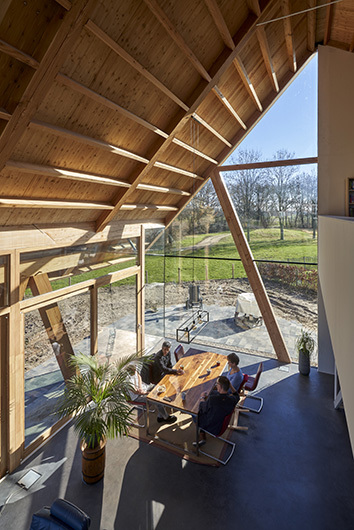 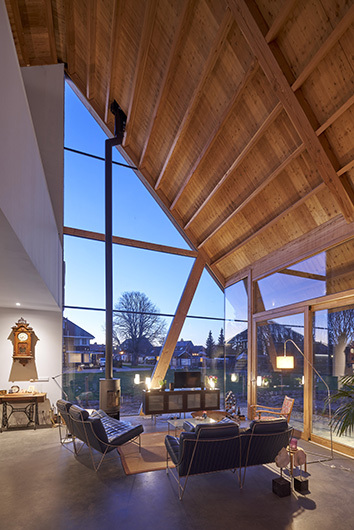 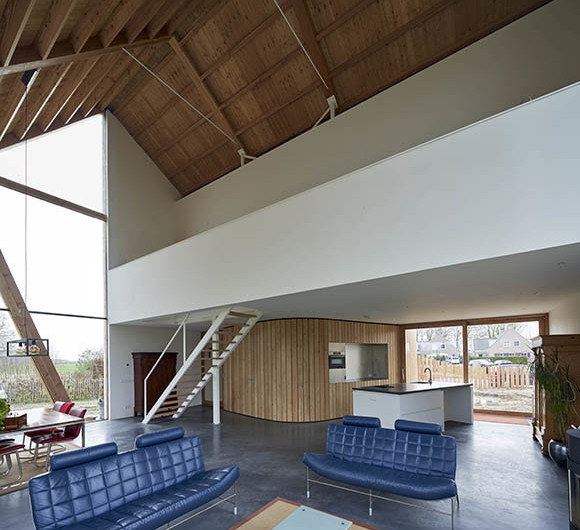 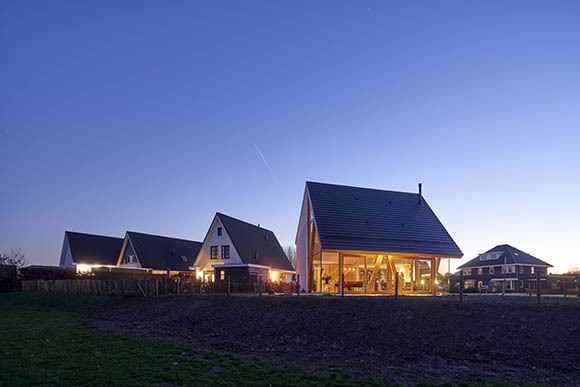 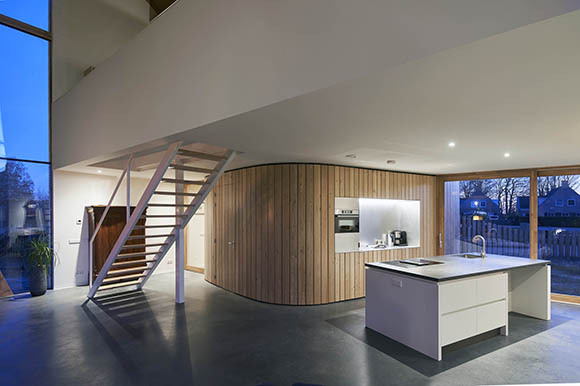 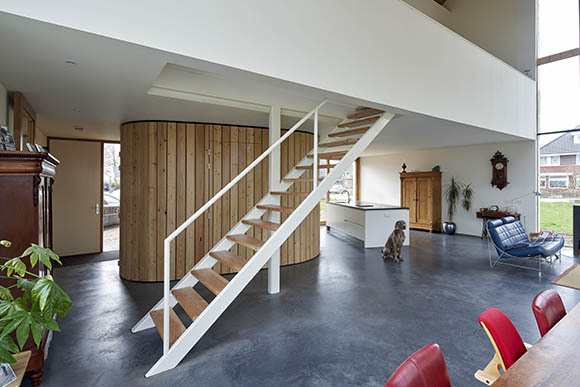 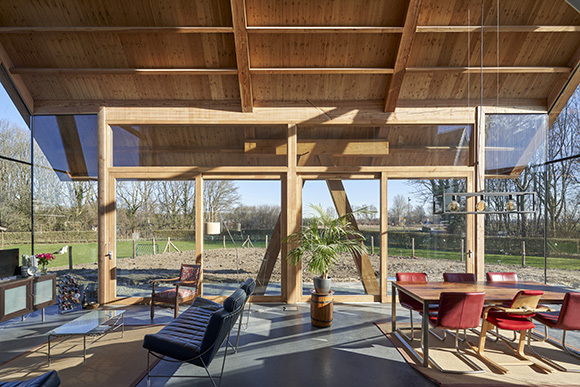 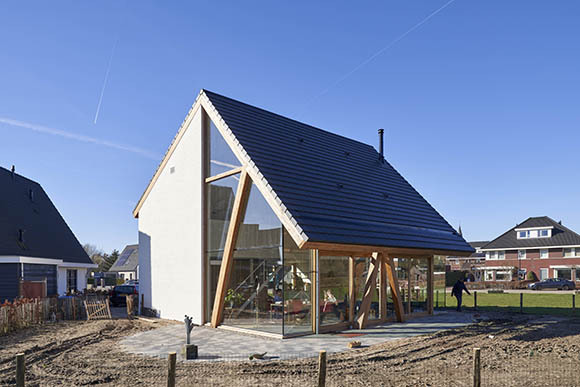 The clients asked Ruud Visser Architects to design a Barnhouse on the plot.A Barnhouse inspired by catalogue-homes.